Built in 1870 by the French, the market was initially called Les Halles Centrales before being renamed Ben Thanh in 1912. Ben Thanh Market has long been a symbol of the city. It has experienced many ups and downs throughout it’s history, and is now the oldest surviving market and one of symbols of Ho Chi Minh city. That makes it a must for any visitors travelling to this over 300-year-old city. Evenings around Ben Thanh Market area formed bustling night market with merchandise and food is plentiful. 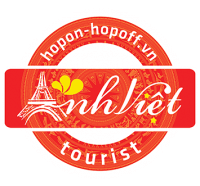 Arrivals of foreign tourists is fair like atmosphere purchases of Saigon by night. Guests can book hotels around the area and walk to Ben Thanh Market for shopping in the evening.